Notsuke: a place with lots of Siberian Rubythroats avoiding my camera. A pair of Falcated Duck at Yakumo. This cropped, distant shot is the only halfway decent one I've managed of the male. I've seen several females/immatures/eclipse males up close but never a drake in breeding plumage. 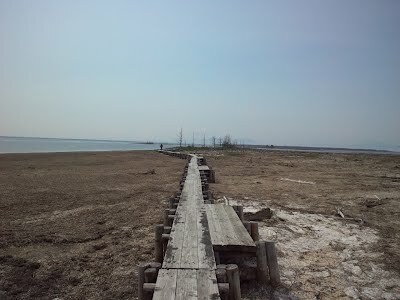 This is only a brief passage visitor in south Hokkaido, it would be nice if a few overwintered. 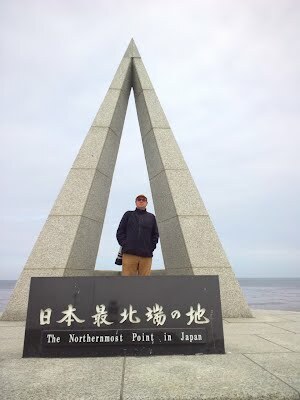 I'm off for 9 days from tomorrow: a round Hokkaido trip going to the north and east. 6 nights in a tent, 2 nights of luxury in nice hotels at the end. The trip is to celebrate our 10th wedding anniversary. 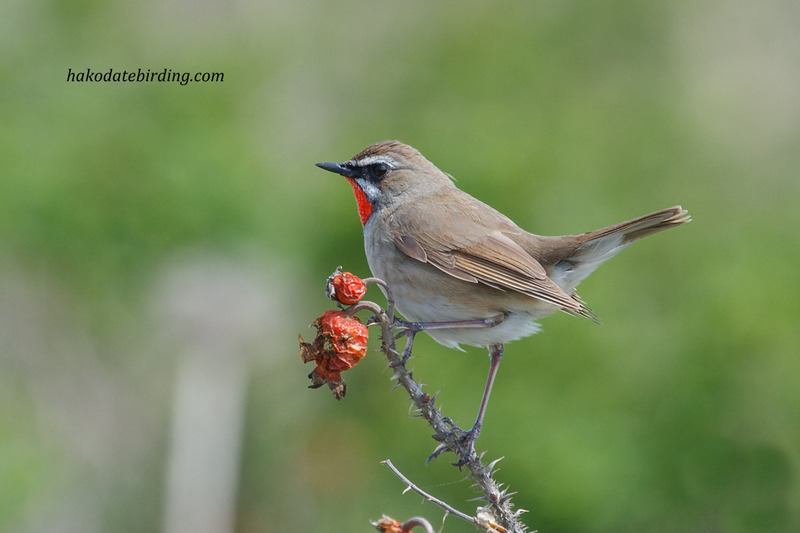 We haven't been this way in spring since 2008 when the above Siberian Rubythroat was showing nicely on the Ohotsk coast, hopefully I'll get some nice photos and see some new birds in the next week and a half. The usual birds were around, no photos though..........I also got my first mosquito bites of the season. Only 6 or so weeks ago everything was buried under snow and now the mozzies are back. Nothing at all on the ricefields.................I was really hoping to get some freshwater waders in summer plumage this spring, I may only get one more chance later this week. There were half a dozen very skittish Whimbrel on the beach at Kamiiso, this was the only shot I could get. Still a few ducks around: Wigeon, Gadwall and Scaup. This male Stonechat was in someone's garden near the beach. Another long beautiful spring day................with not many birds to see or photograph. I was in Yakumo and Oshamanbe looking for waders and all I could find was a flock of 30 or so skittish Grey Tailed Tattler (above) with a lone Turnstone and half a dozen Red Necked Stint at Oshamanbe. I did manage to see my first Eastern Marsh Harrier and Black Browed Reed Warbler of the year as well as all the common stuff to be expected. Much the same at Onuma: lots of common stuff but nothing posing for the camera. 2 out of 6 moulting Harlequin Duck at Kamiiso earlier this afternoon, I'll have to go back soon and try to get a picture of them in decent light. No waders except for 1 Grey Tailed Tattler and nothing else at all except for the inevitable Ospreys fishing offshore. I'd been in Onuma in the morning, Narcissus Flycatchers were abundant and the Black Woodpeckers were around as well as all the usual stuff but nothing posing for the camera: I think I used all my luck last week with the flycatchers in Hakodate. I had a spare afternoon so we checked out the ricefields to see if a) they had been flooded yet and b) if there were any waders there yet. The answers were yes but only a little and no none at all. So I checked out the beach at Kamiiso. There were 2 Whimbrel and half a dozen or so Grey Tailed Tattler. The Whimbrel were a bit jumpy but I could get closer when they were preening. One Whimbrel had a normal bill but the other seemed slightly misshapen (it couldn't close it). You can see the comparison between the 2 birds here. The Tattlers were also pretty jumpy, this was the best shot I could muster. In the car park next to the beach there was 1 Little Ringed Plover. A Narcissus Flycatcher at Onuma yesterday morning. This is the 4th consecutive posting with this species.............apologies for the repetition. This individual was very tame..............these pics are barely cropped at all. A Japanese Grosbeak. A lousy heavily cropped pic but actually it's the first time i've posted a photo of this bird. Very hard to photograph in fact (they are very shy and rarely seem to leave the treetops when I'm around) and despite being pretty common in summer they had eluded my camera up to this point. We had a frustrating day yesterday after Onuma. We headed up to Yakumo but the traffic was so heavy (!) we turned around and went to Asabu where there was nothing around at all so we headed to Kikonai only to find the road was closed due to a landslide............this resulted in a long drive back the way we had come as it was the only road in the mountains. We managed a quick look at the ricefields in Ono-1 Wood Sandpiper and a briefly seen fly over falcon (Merlin I think though it could have been a Hobby I suppose). The day before there were lots of Grey Tailed Tattler and 2 Red Necked Stint. Today there were still lots of Tattlers and the Pacific Golden Plovers were still around but in the middle of a large muddy field. There were at least 2 males singing. A female Mugimaki Fycatcher and another male Narcissus Flycatcher in Goryokaku Park yesterday morning. I had got up at 5am and was in the park before 6am looking for yesterday's Narcissus Flycatcher, there were actually 2 or 3 of them around today and they were setting up temporary territories and singing. There were also some female Narcissus Flycatcher but I couldn't find any Sootys. I also had a brief view of this male Blue and White Flycatcher. I had an even briefer view of a Siberian Blue Robin which I could hear singing in the middle of the park. The Japanese Pygmy Woodpecker from the previous day was still present as was this Great Spotted Woodpecker.